If you have a computer on your desk today, the chances are that it has an Intel architecture and is in some way a descendant of the IBM PC. It may have an Apple badge on the front, it may run Linux, or Windows, but in hardware terms the overwhelming probability is that it will be part of the Intel monoculture. A couple of decades ago though in the 16- and early 32-bit era you would have found a far greater diversity of architectures. Intel 3-, and 486s in PCs and clones, Macintosh, Commodore, and Atari platforms with the 68000 family, the WDC 65C816 in the Apple IIGS, and the Acorn Archimedes with an early ARM processor to name but a few. In the tough environment of the 1990s most of these alternative platforms fell by the wayside. Apple survived to be revitalised under a returning Steve Jobs, Atari and Commodore withered under a bewildering succession of takeovers, and Acorn split up and lost its identity with its processor licensing subsidiary going on to power most of the mobile devices we take for granted today. Surprisingly though some of the 16-bit platforms refused to die when their originators faded from view. In particular Commodore’s Amiga has lived on with new OS versions, new platforms, and community-supported hardware upgrades. 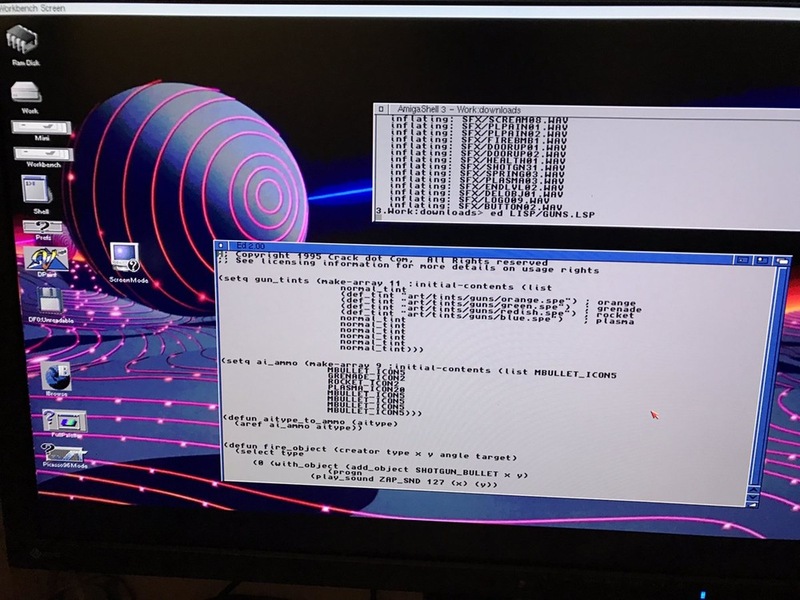 News of just such a device came our way this morning, [Lukas Hartmann]’s MNT VA2000, a graphics card for the Amiga 2000 using a GPU implemented on an FPGA.